From the directing team that brought audiences, I Love You Philip Morris and Focus, Glenn Ficarra and John Requa bring the Afghan war drama Whiskey Tango Foxtrot, which is military jargon for WTF! 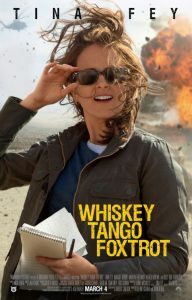 Whiskey Tango Foxtrot focuses on the experiences of journalist Kim Baker who swops the tedious life of a New York media office for the dangerous life of a war correspondent in Afghanistan, from 2004 onwards based on her own novel, “The Taliban Shuffle: Strange Days in Afghanistan and Pakistan”. 30 Rock TV star and veteran comedian Tina Fey takes the title role and impressively turns in a nuanced, vaguely dramatic performance as Kim Baker ably assisted by a superb ensemble cast including Margot Robbie as a hard drinking cut-throat journalist Tanya van der Poel, Martin Freeman as a snarky Scottish reporter Iain McKelpie and best of all Oscar winner Billy Bob Thornton as the no-nonsense American general Hollanek. Tina Fey who to date has largely appeared in comic roles alongside Amy Poehler is brilliant as Kim Baker and gives audience a chance to witness her dramatic side. As the emotional and physical strain of remaining in Afghanistan takes its toll, along with media colleagues who double cross her, Baker manages to resist the temptations of falling for her own hunky security detail, the gorgeous Nic, wonderfully played by Stephen Peacocke (Hercules) whilst forming a bond with her Afghani translator and guide, Fahim Ahmadzai brilliantly played by American actor Christopher Abbott last seen in J. C. Chandor’s A Most Violent Year. Character actor Alfred Molina also makes a hilarious turn as a Westernized Afghani government official Ali Massoud Sadiq who becomes besotted with Tina Fey’s hardnosed journalist. 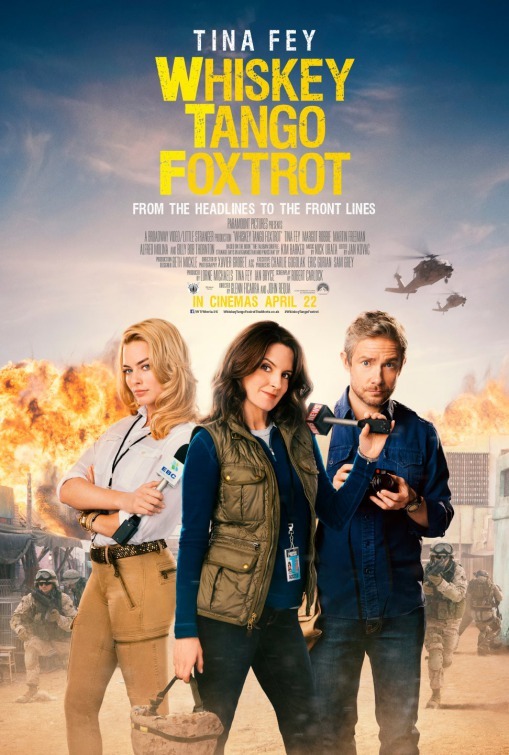 Besides the decadent partying which occurs in the Ka-Bubble, as the foreigners nickname Kabul, Whiskey Tango Foxtrot highlights with dashes of humour, the difficulties invading Western forces face when dealing with a foreign country and culture so alien to their own, in this case Afghanistan. What could be gleaned from Whiskey Tango Foxtrot, besides the atrocities involved, is that war is almost like a decadent excursion into a completely different world. The scene in the film where Baker discovers the real reason a watering well is constantly being blown up in an Afghani village points to the larger gender inequalities inherent in war especially when the country being invaded is deeply patriarchal. War itself is demonstrated to be a man’s game and what makes the women in the film so fascinating especially Baker and Van der poel is their fleeting exotic beauty in a country in which the women are entirely covered up, a point so brilliantly made in Whiskey Tango Foxtrot. 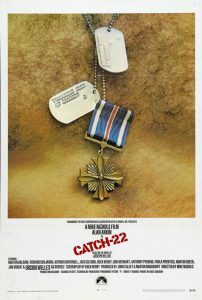 Whilst Whiskey Tango Foxtrot is not going to win any awards cinematically, it is nevertheless a humourous and mostly farcical take on the absurdities of war, in the vein of Robert Altman’s classic film M. A. S. H. and Mike Nichol’s 1970 film Catch 22 based upon the Joseph Heller novel. What is notable is the media stance on war, whereby despite the annihilation around them, they refuse to take sides but merely show a mirror up to the brutal horrors of this contemporary man-made conflict in a hostile environment characterized by ample vice and little virtue or trust. Recommended viewing for those that enjoyed Zero Dark Thirty and David O. Russell’s Three Kings.